The one breakfast place I had to visit was Hash House a Go Go, after watching Man v Food Las Vegas (yes I'm a celebrity stalker :)). There are several branches found in Vegas, but I headed to The Quad, on Las Vegas Blvd (heart of the Strip) for an early breakfast. I needed to fuel up for a day of outlet shopping (hey, that's my story and I'm sticking with it!). 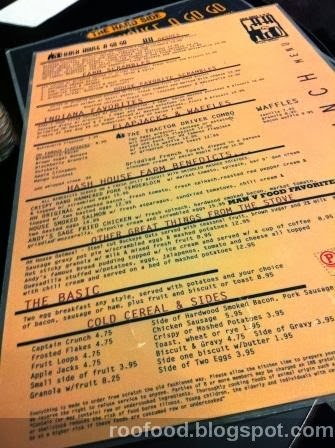 Hash House a Go Go is marketed as Twisted Farm Food. Portions are huger than huge and and a big play on old favourites. 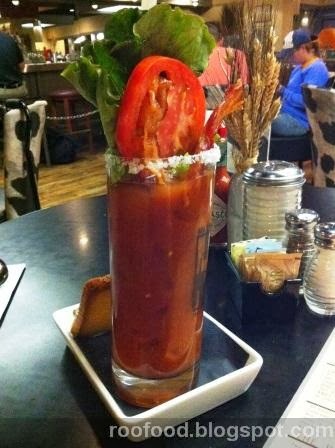 Who loves to start their day with a Bloody Mary. Start the day with this baby! 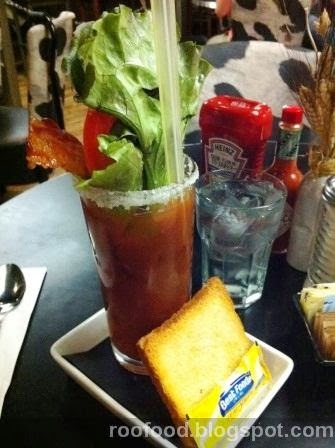 A chilled twenty ounce glass (that's twisted) with a bacon and salt rim, house mary mix and vodka, trimmed with a slice of tomato, a rasher of smoked bacon , lettuce and white toast. It's a breakfast appetiser! It's breakfast in a glass! (and I got the twisted souvenir glass to take home). 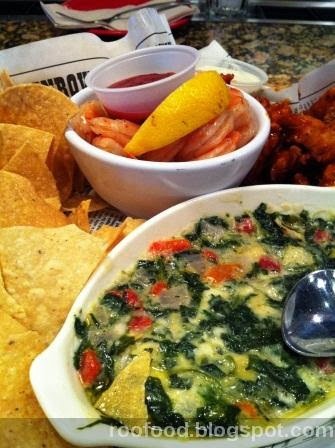 The menu is extensive and full of house favourites. It's a difficult choice and I end up with Andy's Sage Fried Chicken served with fresh spinach, hardwood smoked bacon, market tomato, griddled mozzarella, chipotle cream and scrambled eggs. Okay I was in awe when this arrived at the table (and maybe a little embarrassed that one person was going to attempt to eat it). I'll confess I didn't put much dent in it. It's so pretty on a plate though. The fried chicken is crispy and tender and oh so juicy. I love the oozing griddled mozzarella...there is scrambled egg in there and the bacon is awesome. Unfortunately I just couldn't do it justice. So it got packed up and taken in a doggy bag (*on a side note, many of my leftovers during my USA trip was bagged up and given to one or two of the many rough sleepers - they were very appreciative of my gesture and I was very happy that food wasn't going to waste. The weather was cold and getting decent food (instead of money) was best in my opinion). 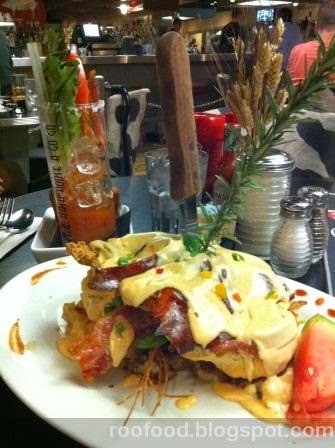 I loved Hash House a Go Go and will definitely go back! 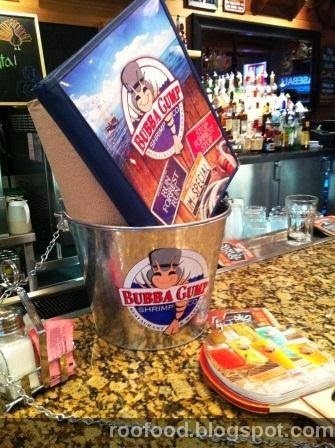 After a day of outlet shopping, laden with bags, feet sore and in need of sustenance I found myself at Bubba Gump Shrimp Co. I love this place. 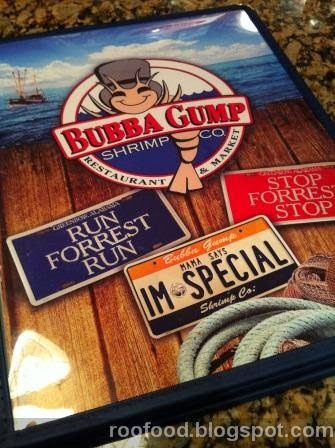 Yes it's a franchise across the USA but the food is great and the atmosphere fun and yes lots of Forrest Gump memorabilia and quotes!!! I sat myself at the bar, where I could chat to the very friendly barman (not overly flirty just chatty (from him! :)). 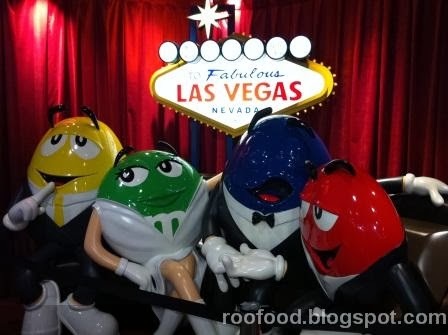 It was great way to find out a few tips and tricks for the casino's and bars/restaurants. Note: if you are playing the slots (even the 1cent machines) you can drink for free...just tip your waitress. There were many vodka, soda and limes consumed playing on one cent bets! I love the beverage menu on the ping pong paddle. There is so much to sample here so I opted for the run Across America Sampler, which included Bubba’s Far Out Dip and Chips, Chilly Shrimp, spicy Chicken Strips, Hush Pups, and Mama Blue’s Fried Shrimp. 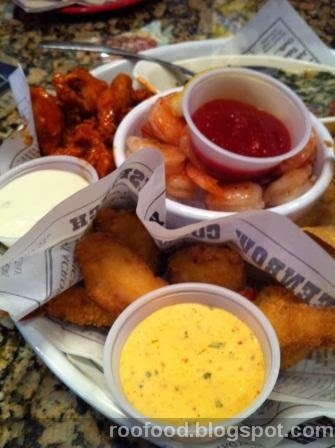 Definitely a sampler of everything! 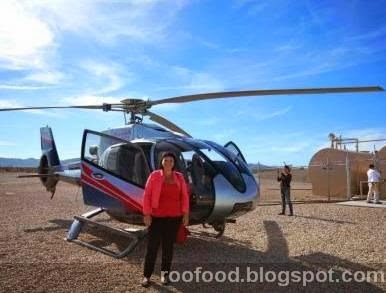 My last day in Vegas i spent flying over the Grand Canyon in a helicopter. It was am amazing experience but would love to see more of the big old hole! 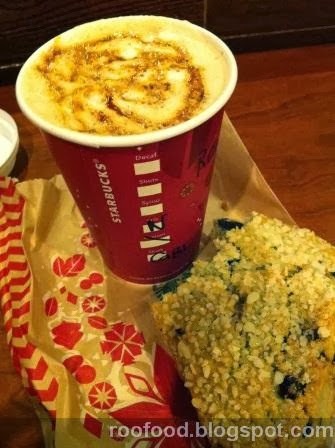 Seeing that this was an early morning start and I wasn't overly hungry I grabbed myself a special holiday gingerbread latte and a blueberry scone from Starbucks. Hit the spot, caffeine and sugar loaded, and I was on my way. 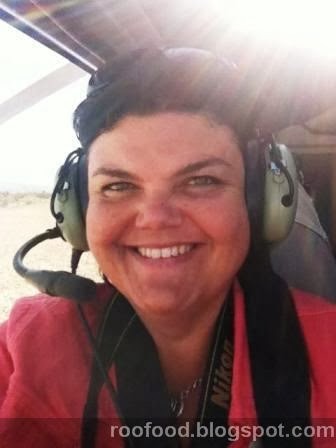 After flying over The Strip on the way back I was already planning my lunch! 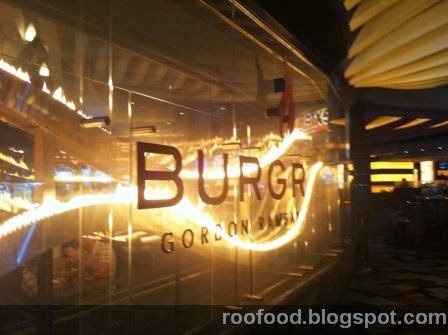 I needed a burger fix, but not any burger, a gourmet burger. 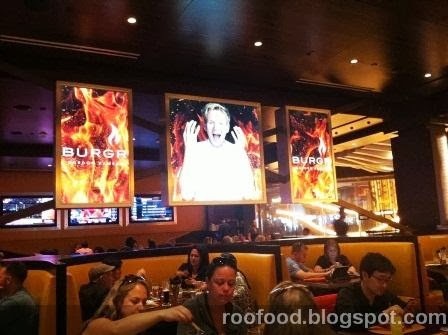 New hot spot on The Strip is Gordon Ramsay's restaurant BURGR at the Planet Hollywood Hotel. 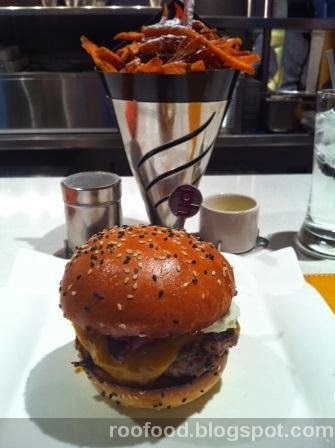 Yes I waited in line for about 30 minutes, but scored a seat at the counter, where I could overlook the kitchen. 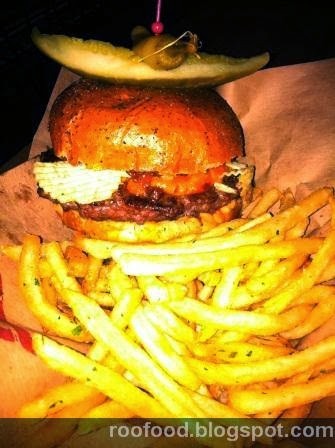 Burgers are grilled over an open flame with apple and adler wood chips. I'm drooling and agonising over the menu. What to have?....there are many delicious sounding burgers. 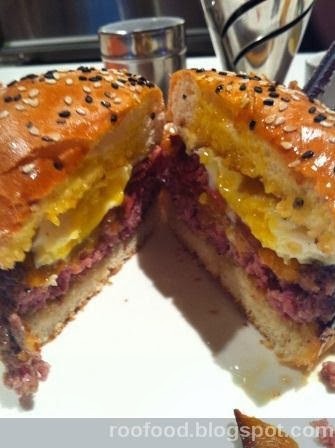 I'm discussing with the waiter weighing up the Farm Burger against the Hog Burger and decide to go with the Farm Burger, which has duck breast bacon, English sharp cheddar and a fried egg. 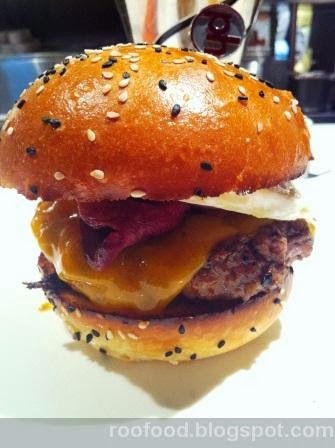 Then to add to my woe, the waiter suggests having the Farm Burger but switching it up with the Hog Burger? Say what? Hells yes! 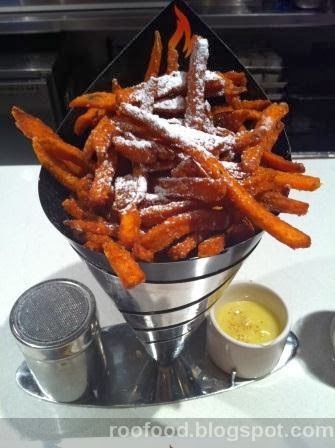 I also added a side of sweet potato fries with jalapeno mayo and a dusting of vanilla icing sugar....you say extra sweet I say absolute heaven! So I end up with a Farm Burger with a mangalista pork patty instead of beef. Now I had ordered with medium rare (as it was beef) but when it got switched to pork..?? Yep it came out medium rare. I did question whether I should eat it that rare...so I cut it in half and decided what the hell? It was another 'I need a moment to myself moments' - lucky I didn't groan out loud as the other customers seated around me may have wanted to move away from the crazy moaning lady. And those sweet potato fries. Another 'I need a moment to myself moments'. These are hands down the best sweet potato fries I have ever had. 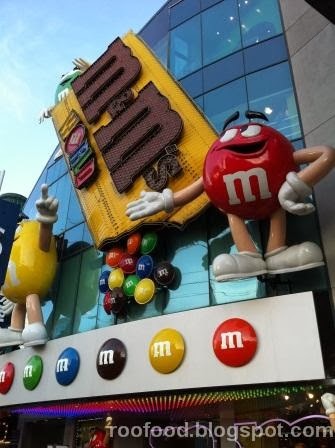 On my way back to the hotel I ducked into M&M World to have a gander. 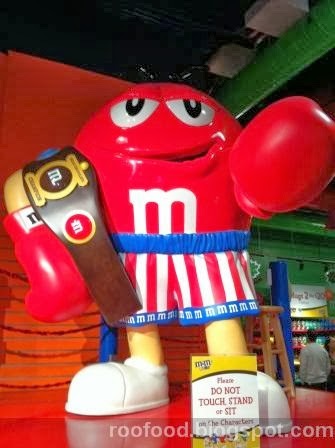 Who doesn't love M&M's? 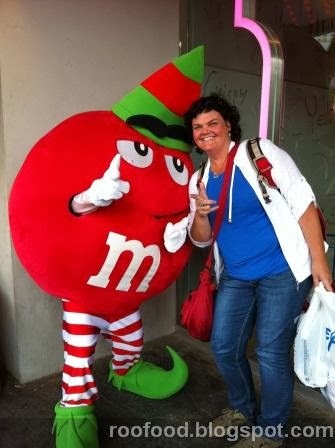 Meeting a real M&M. My day is complete! 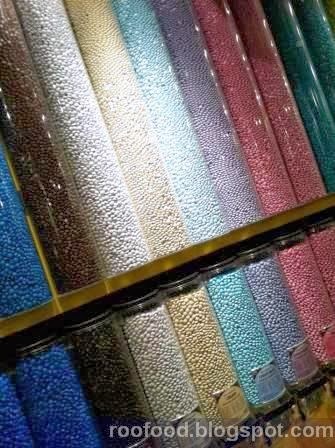 There is wall to wall M&M's in the rainbow. 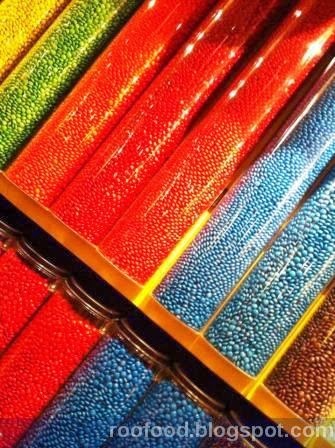 My mumma always taught me to eat the rainbow! The Rock n' Roll marathon just happened to be on while I was in Las Vegas and the strip is closed down for the day for the runners. 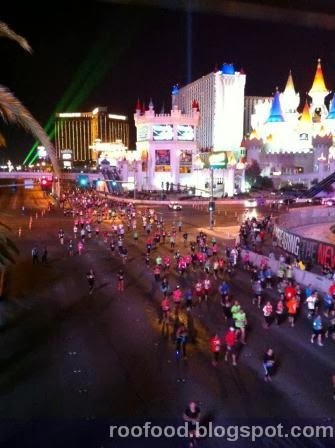 Your only chance to run the strip without dodging the traffic! My last night in Vegas was a quiet one and it was getting late and I wasn't 'overly' hungry, so I headed down to Pub 1842 at the MGM Grand (I couldn't be bothered walking very far from my room). This is a typical American pub. 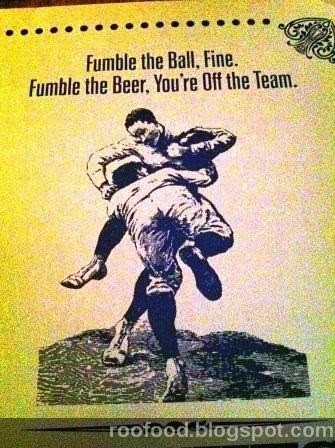 Football (American) was on the TV, sports nuts watching the game with a beer in hand. I sat at a high stool table and watched along with them. I now have a new found appreciation of football. a good motto to live by? The peanut butter crunch burger was screaming out 'EAT ME, EAT ME' going all Alice in Wonderland I did! WOW, WOW, WOW! perfectly cooked, medium rare beef patty and bun oozing with gooey, melted crunchy (not smooth) peanut butter. Crunchy is the best! This was definitely another 'I need a moment to myself' moments. This was a fabulous burger. Who ever came up with the thought of adding peanut butter to a burger is a legend - and why has it taken me so long to try it out!. I'm a convert. The fries were up there at the top of the list too. 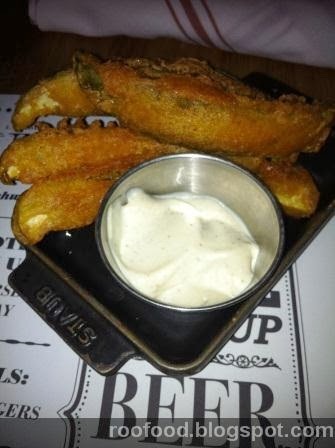 Couldn't pass up an opportunity to finally have a fried pickle. 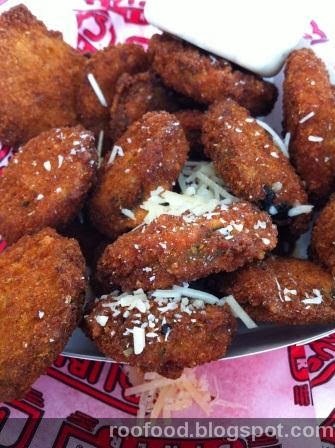 Instead of the expected small discs these were quartered pickles, deep fried in a crispy batter. Very salty, and crisp (the pickle) so was these were bit overly sour and tangy on the tongue. I think I would have preferred the small discs. Early morning start and departing for San Fran today, I needed sustenance before my flight and Ruby's Diner seemed like good a place as any to get something. 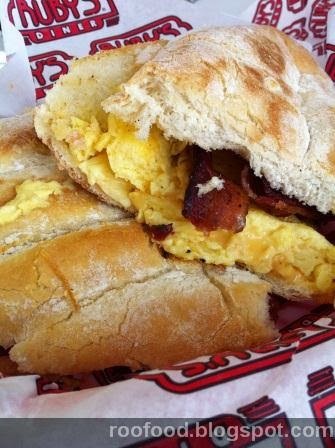 The Awesome Egg Sandwich - no that's its name and it was pretty awesome. A side of zippity zucchini to go with my sandwich. These were piping hot, tender and perfect dipped in creamy ranch dressing. A bowl of these on their own would have been enough for me. I managed to eat most of the zucchini before rushing off to the boarding gate, dodging early morning flyers, slot machines and gamblers getting their last bets on! See ya in San Francisco!